Perhaps you already speak a foreign language in addition to your mother tongue and you are relatively impressed with how people learn two, three, four or more languages. In fact, speaking two, three or four foreign languages is more of a method and a good approach than a restrictive and boring exercise. 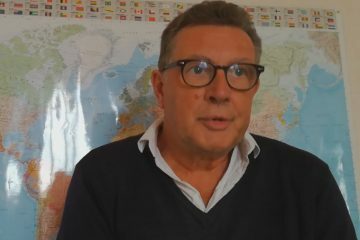 Luca Lampariello, whose mother tongue is Italian, has given several interviews to journalists and regularly gives several pieces of advice on his Youtube channel. 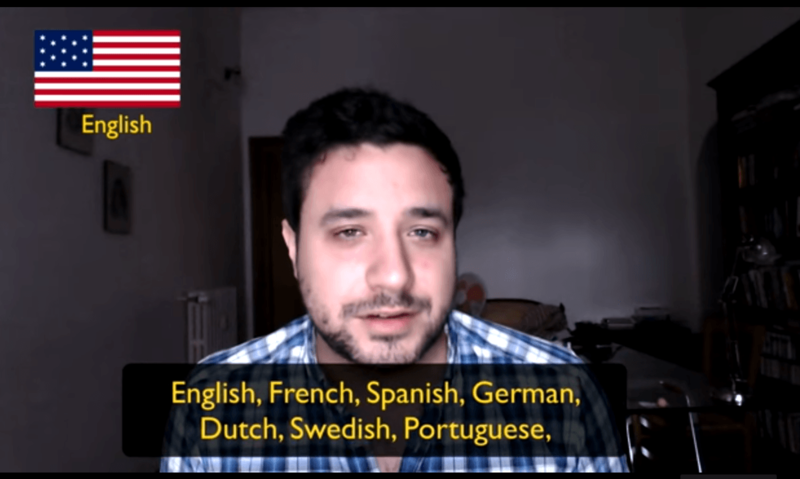 In several of his interviews, the multilingual and famous Italian blogger Luca Lampariello explains in detail the process, which is more a strategy based on pragmatism. He speaks several languages very well. He has learnt thirteen languages, including Russian and Japanese, which he considers one of the most difficult. His approach to languages is playful and pragmatic, which fundamentally explains his ability to acquire and master the different languages he has learnt. His enthusiasm is infectious and it is clear that he really wants to share with as many people as possible what he has identified as effective in terms of language learning. How long does it really take to learn a language and be operational? So if you want to speak fluently, of course it will take more time, between two and three years, while speaking as a native speaker will take even longer. But there are still objective and subjective factors that can make learning a foreign language easier or more difficult. 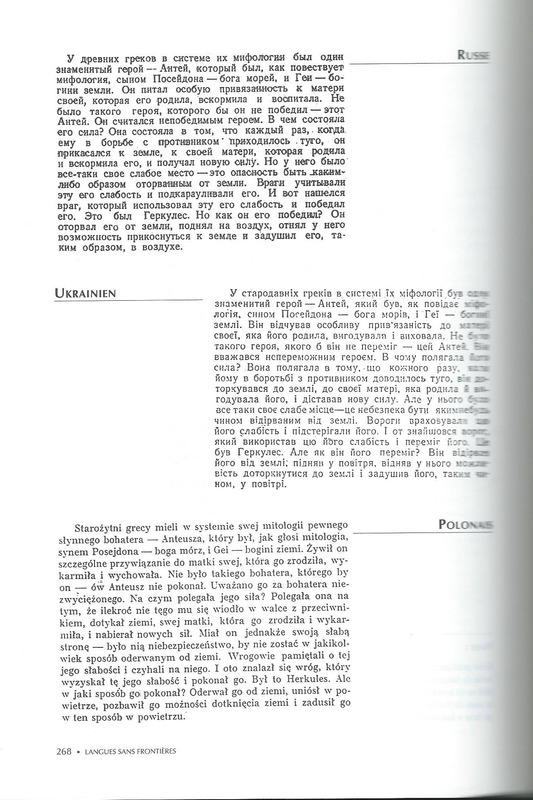 The objective factor is « the distance between our own mother tongue and our target language ». Luca is Italian and for him learning French or Spanish is easier than for a Chinese. This is also the opinion of the late Georges Kersaudy, polyglot, former international civil servant, born in Le Havre in 1921. 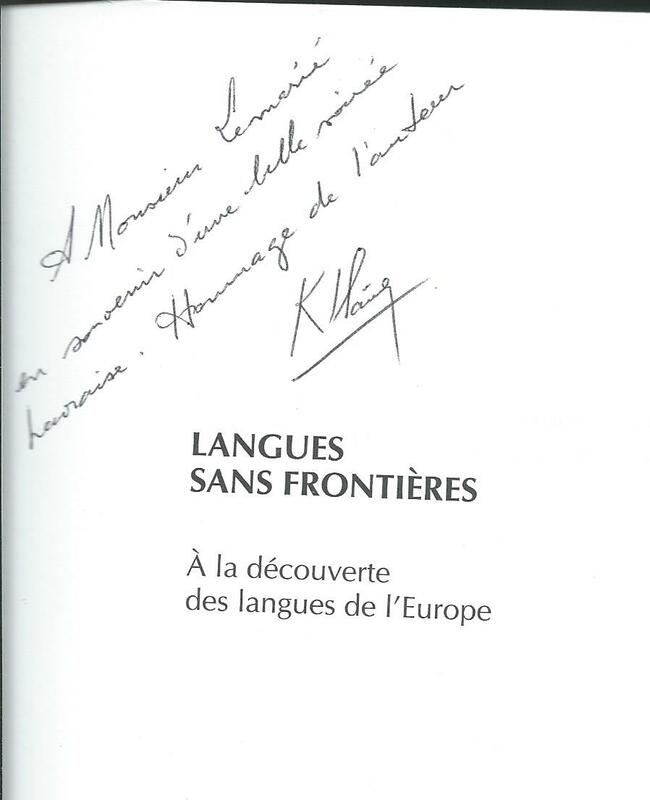 I met him in Le Havre in 2001 during the European Language Week. 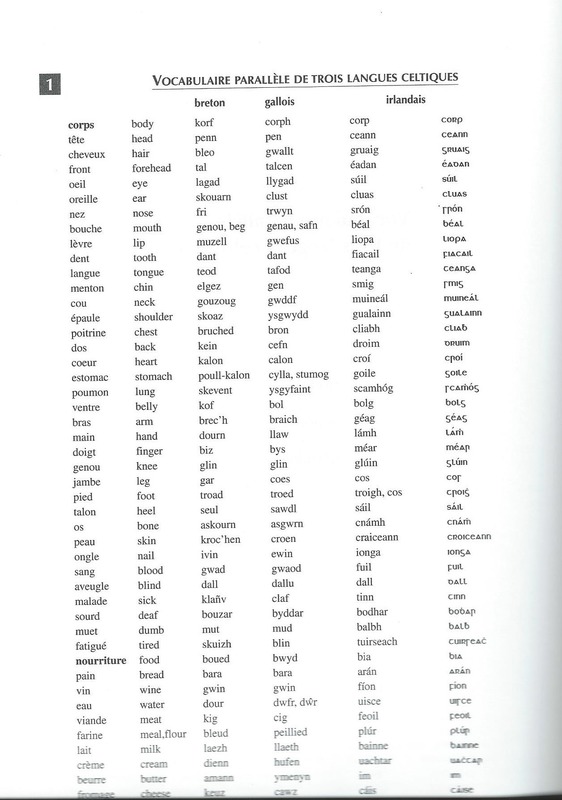 In his book “Langues sans frontières” (Languages without borders, discovering the languages of Europe) he explains that it is necessary to learn languages by linguistic trunk in order to memorise and understand more easily the languages which are associated with a common trunk. His method consists in identifying the common roots and structures that constitute the foundation of languages. This method succeeded him since he spoke about fifty languages when he was still of this world. I was able to verify it for at least ten, when at the University of Le Havre, during the conference several professors asked him questions in several languages. Mr Kersaudy studied Russian and other languages at INALCO in Paris (Institut National des Langues et Civilisations Orientales). When he confided that he had learnt several other languages on his own with the ASSIMIL Methods, and while practicing on the spot on the occasion of his multiple assignments in the world, several professors present in the audience expressed more or less their astonishment. Whatever the method, in my opinion it is necessary to identify what is effective and to know how to leave the matrix! Luca, for his part, offers in-depth articles on learning tips on his blog. The subjective factor concerns the person himself with his own abilities and learning experience. To give an example, the polyglot explains that an Italian wishing to learn Mandarin (Chinese language), without language learning experience and without Mandarin knowledge will spend between two and five years to start speaking this language fluently. « While a person who already has experience in languages, who has already learnt an exotic language or similar to Mandarin, who lives in China, and has the opportunity to practice with Chinese, will learn much faster. It is also necessary to mention that there is a difference between simplified Mandarin and traditional Mandarin in terms of complexity. Simplified Mandarin is mostly spoken in the Republic of China and traditional Mandarin in Taiwan. However the Taiwanese easily understand simplified Mandarin, since he who can do more can do less. Luca’s linguistic range is impressive: he speaks English, French, German, Spanish, Dutch, Swedish, Russian, Mandarin, Portuguese, Polish, Japanese, Hungarian and is also learning Greek. What specific advice can he give to those who wish to learn a language very quickly and effectively? His own learning style is the two-way translation he speaks about on his site, but the techniques must be flexible and adapted to the particularities of the concrete language and the objectives of the moment. Overall, his advice is always the same no matter how fast you learn a language, but in general, for intensive learning you need to implement a more elaborate strategy. A realistic goal and program that includes at least two to three hours of learning per day is needed to achieve fairly rapid results. However, you should not study two or three hours in a row. It is preferable to set sessions ranging from 25 to 30 minutes » which will maintain concentration at the necessary level without creating fatigue leading to abandoning the best intentions. Then, it would be nice to find an interlocutor to practice the language. Similarly, to learn globally, one will have to devote oneself to reading, listening, written and oral expression. According to Luca, these are complementary activities that must be varied. Luca talks about the things you should never do that can hinder effective and rapid learning. « First of all, it is necessary (this is the most important piece of advice): to always start with reasons that I call intrinsic or internal and not start with extrinsic or external reasons, » he insists. In addition, it is essential to write a program to know what you are going to do and for how long and when. We must have very strong reasons and we must have a planned objective, that is, from now on I know exactly what to do and how much time I will devote to this study. – Do not forget to write the words immediately on a medium (paper or computer). First of all, we don’t have to wait for years to start talking. As the Germans say, « Übung macht den Meister » (it is the exercise that makes the master). The French say “C’est en forgeant que l’on deviant forgeron” (it is by forging that one becomes a blacksmith). Second, some people say: I’ll talk when I’m ready. The right time is now. Giving up perfection by tending towards it is perhaps one of the best strategies. That’s what I think as a translator and interpreter. I also think that in any learning there should be some pleasure. This is what Idriss Aberkane says. Learning English by singing songs by good authors (the Beatles, Elton John, Phil Collins, Lionel Ritchie…), by studying the meaning of the words while pronouncing the words as the artist, by mimetic effect, is just as effective, at least at first rather than imposing the study of Shakespeare’s works, even if the interest for this author may manifest itself afterwards, once the language is better known. Comment apprendre une langue rapidement ? and our article in French about « La Traduction au delà des mots » (Translation beyon words).